Last year Canadian biker Gerry Tobin was shot dead by fellow bikers on the M40 after attending the annual ‘Bulldog Bash’ in Warwickshire. This year the cost of policing the event will be a staggering £1.4million. “Most of the huge bill will go to pay for thousands of extra police man-hours and will include paying officers from neighbouring forces who will be drafted in. Officers are expected to be on constant guard. They also intend to monitor every one of the thousands of visitors at the festival and will be using special automatic number-plate recognition equipment to alert them to would-be troublemakers. Stop and searches will also take place at two locations near the site and some roads will be closed while the festival is on”. To put the cost of this into perspective, the policing of last year’s event cost a fraction of this amount at £97,639. 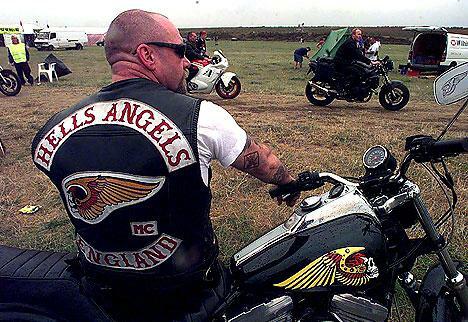 Tobin’s murder has cast a shadow over this event which is perhaps unjustified, and no doubt thousands of bikers will arrive in Warwickshire for the four day stint intent on nothing but a good time. Local business most probably prospers from the trade and it’s likely that in years gone by the Bulldog Bash has been a real asset for the local community and it’s tourism, but this level of policing can only change the tone of what no doubt started as an innocent summer gathering for the biking community. £1.4million of policing translates as a presence so heavy and so oppressive that it can only be disruptive and unwelcome, as well as intimidating for local residents. And what if something happens regardless and the security needs to be upped once more next year? Will this festival be preserved at any cost to the taxpayer? Surely ordinary residents can’t be expected to shell out more year on year for something that benefits so few? There’s little doubt that the events organisers should be expected to shell out for any extra security, and if this results in inflated ticket prices, so be it. Perhaps the prospect of increasingly expensive tickets would act as a deterrent to those thinking of causing trouble. Most people aren’t so familiar with the biking community, and even less so with the murky underworld of criminality that is often associated with it, so to ask residents in Warwickshire to shoulder the vast cost of hosting something that is now quite clearly considered to be a hostile and dangerous event is both unfair and ridiculous.